As a local mover in the Highland Park area, Federal Companies offers both residential and commercial moving services. With over 100 years of experience, our trained staff and quality service is what truly sets us apart. How does Federal Companies make Highland Park moving easier? With expertise in local moving, long distance moving, and international moving, our qualified staff leaves you assured and confident. Whether you are moving across the city or across the world, moving can often be seen as a stressful time. At Federal Companies, we realize that alleviating your stress and providing a simple move ensures peace of mind and keeps our customers coming back. From the very beginning we make sure questions are answered and concerns are addressed. With numerous checklists, tips, and professionals available, we can help plan your move both quickly and efficiently. 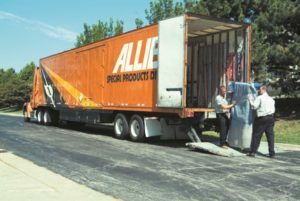 As part of Allied Van Lines, Federal Moving company is known for both positive reviews and repeat customers. From the very first consultation to unpacking the last box, Federal Moving can customize and assist in your move every step of the way. Bundling both your moving services and storage needs is a cost-effective, simple solution, and is easier than ever with Federal Companies. Our state-of-the-art, continually monitored facility ensures that your items remain protected and pristine. Both long term and short term storage options are available. When it’s time to find the ideal Highland Park movers, trust Federal Companies to complete the move both on time and under budget. With our professional moving crew and years of expertise, your move can be both simplified and streamlined. Contact Federal Companies today to learn more and submit a free online quote.